With tomorrow being 4 months since we got married, I'm sharing some thoughts on one of the things I loved most about our wedding: the size! We kept it to around 45 guests. Just close friends and family. I just learned from a quick google search that intimate weddings are now trendy, but with good reason. If you're currently engaged and are considering a smaller wedding, take a read below and see if any of this speaks to you. 1. We saved a boatload of money. Duh, this is obvious. It wasn't the biggest reason we wanted a small wedding, but it was a very important one. 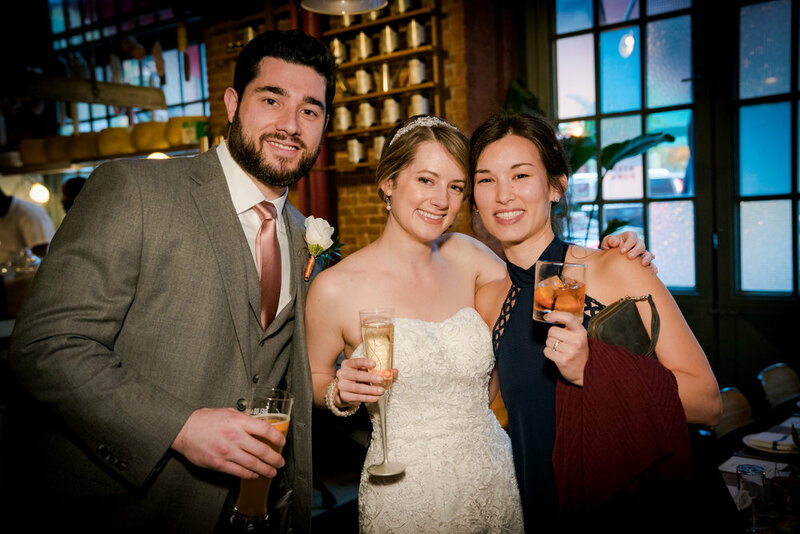 It's not surprising that the easiest way to keep costs down at your wedding is by trimming your guest count, especially when factoring in food and alcohol. What we weren't initially aware of is that our other vendors would consider our small guest count in their pricing, so we saved money across the board. For example, a photographer - the smaller the wedding, the easier it is for a photographer to capture everything. Makes sense. It also gave us the opportunity to splurge more on things that were important to us. For us, it was having really good food and drink at the wedding. Quality over quantity. We also splurged a bit more on our honeymoon, which we don't regret one bit! 2. I saved a boatload of anxiety. I am an introvert who is not a fan of being the center of attention. Also, to me, a wedding ceremony is a very sacred and personal thing. So the thought of saying our vows in front of 300 people gave me major anxiety. On the other hand, when I pictured us getting married with a small group of our closest loved ones, it didn't freak me out but instead made me smile. Aside from the ceremony itself, the physical act of getting everyone from out of town and into New York, and then from Point A to Point B to Point C, was stressful enough with a few dozen people - between the flash foods, trains and flights being delayed or cancelled, and Trump traffic that was going on in NYC that weekend. I might have lost it if we had tried to do that with hundreds of people. 3. We got to spend more time with everyone. 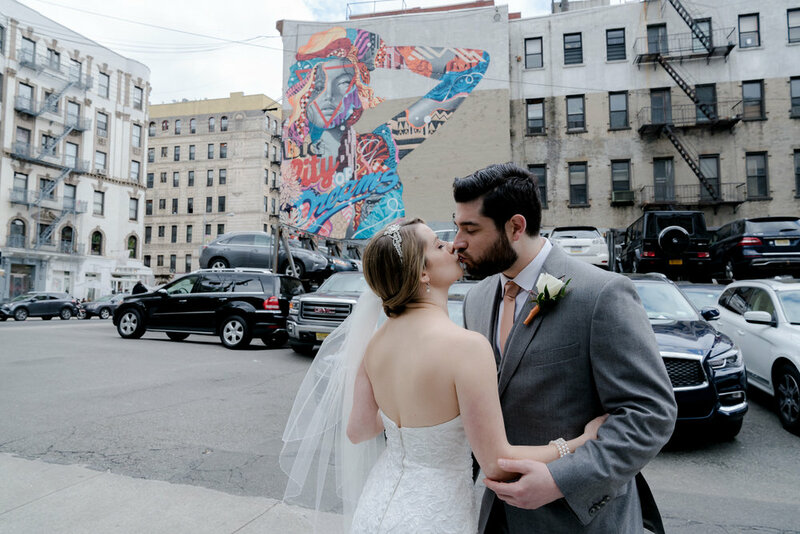 We know that it's not cheap to come to NYC even for a weekend, and I couldn't have imagined someone I love making that trip for my wedding and not being able to spend at least a little quality time them. We were able to hang out with everyone throughout the weekend. During the wedding we never felt overwhelmed that we wouldn't make our rounds to everyone by the end of the night. Our guests also got to all meet and get to know each other throughout the weekend. I really loved that. 4. We wanted our guests to feel special. Almost every single person at our wedding told us that they felt special to have been included in such an intimate event. Which is what we were going for! One of my favorite details of our wedding was the NYC-centric welcome bags that we had waiting in guests' hotel rooms. We may not have been able to spend the money or effort putting these together for a ton more people. Not pictured here: tiny bottles of bubbly! 5. It was just what we both wanted, and we don't need any reason other than that. Ultimately, only you and your partner can decide what size wedding is right for you. Deep down you probably already know what you want. The challenge is sticking to it when people other than the two of you start getting involved. From the beginning, we knew that a very small wedding was right for us. We stuck to our guns and probably pissed a few people off, but we don't regret a thing. Your wedding is about you and not about anyone else. And looking back, ours turned out to be exactly what we wanted, and we wouldn't have had it any other way. All photo credit to the amazingly talented Susan Shek! 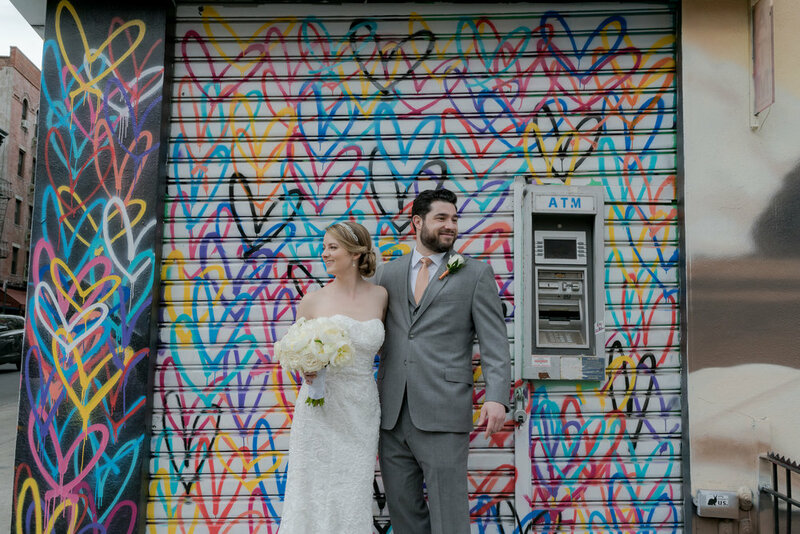 If you want to feel all the feels, check out our wedding video here, courtesy of Well Spun Weddings.